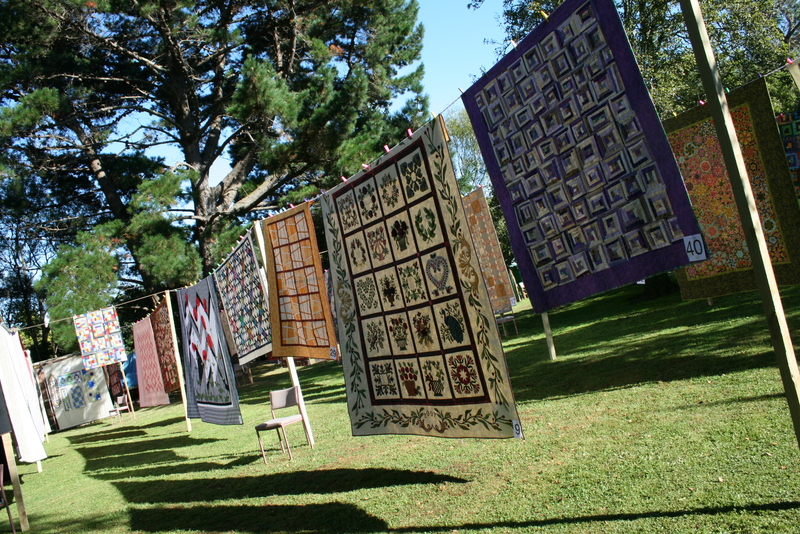 Well, time is certainly marching on, if you have a quilt/quilts that you would like to enter in the Stonestead Outdoor Quilt Festival, remember the registrations close on Sunday 3rd February at 4.00pm, you can scan them through to enquiries@sawmillersquiltery.co.nz if it is easier, we don’t require the quilts until Friday 8th February, but we do need the registrations prior so that we can put the details into the catalogue. The registration form can be downloaded atthe side of this page or we have some in the shop that you can collect. Well it is all go now preparing for the Outdoor Quilt Festival being held on Sunday 10th February, we have all ready received entries so don’t forget we accept on a first come first serve basis as line space is limited to our outdoor area. This year we shall also have an additional display of quilts made in the classes that were held at Sawmillers during the past year or so, so you can come and be inspired by those as well. For those that haven’t had a chance to look at the Registration Form we have a new category for Under 18 years, this will be known as a Certificate of Youth, so if you know of anyone who would apply in the category ask them if they would like to enter. Our judge has confirmed that she is willing to come and judge the Challenge and the New to Quilting categories. Visitors Choice, Judges Choice Challenge, Visitors Choice Challenge, New To Quilting ( 2 Years or less) and Certificate of Youth 18 years and under. So get stitching and finish off your projects or if you have one that you want to enter, get it out and fill out the forms and bring up to Sawmillers. Don’t forget this festival is for the pleasure and inspiration of attendees, visitors love to see what can be created by cutting and stitching fabric and then putting it all back together, so what you may think isn’t very good, is inspiring to others, the other important thing is that the money raised goes to Te Omanga Hospice. The only other thing we all have to do is wish for a fine, light breezy day!!! It doesn’t seem possible that we are in the midst of organising our Quilt Festival again. If you would like to register a quilt for display in the festival the form is available to print off on the right of this page, don’t forget this is open to everyone and is for everyone to come and enjoy a day in the country we have all the categories for you to enter on the form, so go through and have a look, we also have Challenge Packs here at Sawmillers they are $5.00 with fabric, so call and pick one up and have a go! I shall be posting more information on a regular basis now including inclement weather details!!! Let’s hope not!